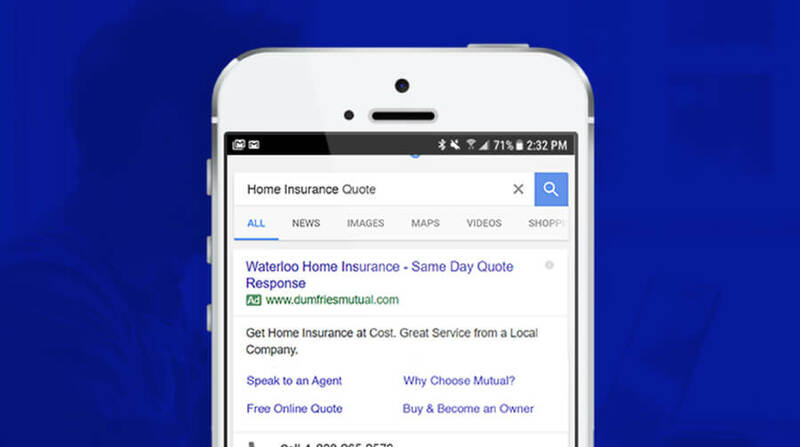 Dumfries Mutual is a residential, auto, farm, and commercial insurance company that serves Cambridge, Kitchener-Waterloo, Guelph, rural Hamilton, and surrounding areas. With policyholders as owners, their staff has a special focus on customer service. 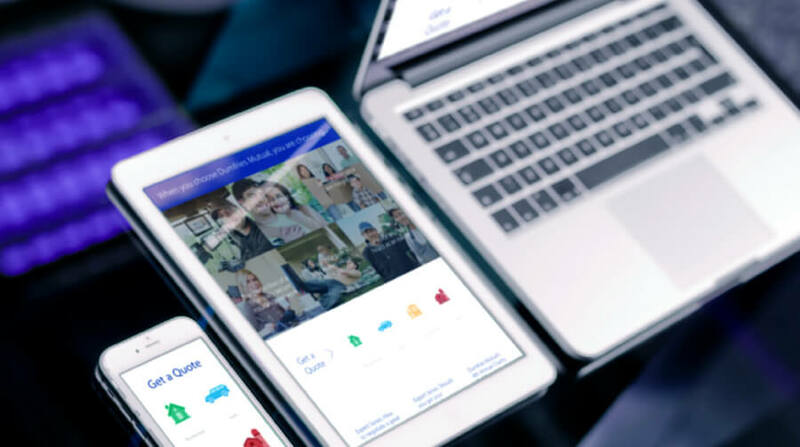 Stryve’s first project with Dumfries was to create a new website that would not only stand out in the insurance industry for its design and usability, but also serve as a marketing hub. 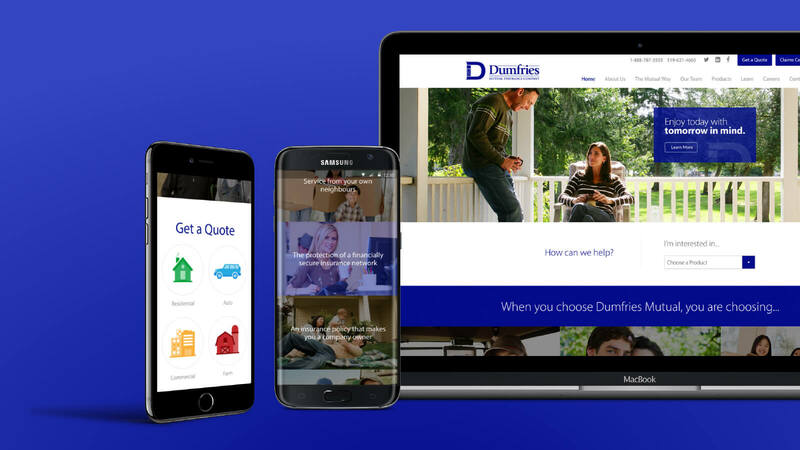 The ability for Dumfries to receive online quote requests was a central part of the redesign that would support our future digital advertising strategy. 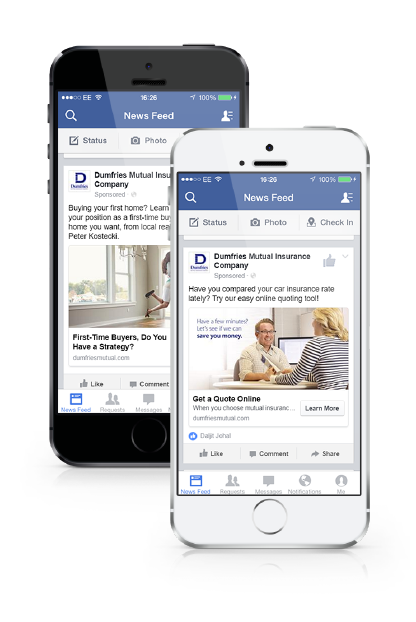 Our goal was to build awareness of Dumfries Mutual as a great choice in insurance and connect prospective customers with products that would meet their needs through PPC campaigns. Stryve runs PPC advertising campaigns on both Facebook and Google AdWords on an ongoing basis to encourage prospective customers to complete quote request forms. Each campaign is monitored regularly and optimized by the team on a weekly basis based on new learnings. Landing pages and quote forms are continually optimized to increase conversions. With the ongoing support of Stryve’s weekly Iterate & Optimize working sessions, Dumfries PPC campaigns are always being improved. Stryve is constantly finding creative ways to acquire more leads with less ad spend. Facebook and Google AdWords PPC campaigns have provided a steady stream of new leads to Dumfries agents.